Beijing Spake Technology Co., Ltd. is located in Beijing, China. It was established in 1998 with a registered capital of 33.8 million Yuan. We are the professional manufacturer of pressure \ temperature calibration equipment. 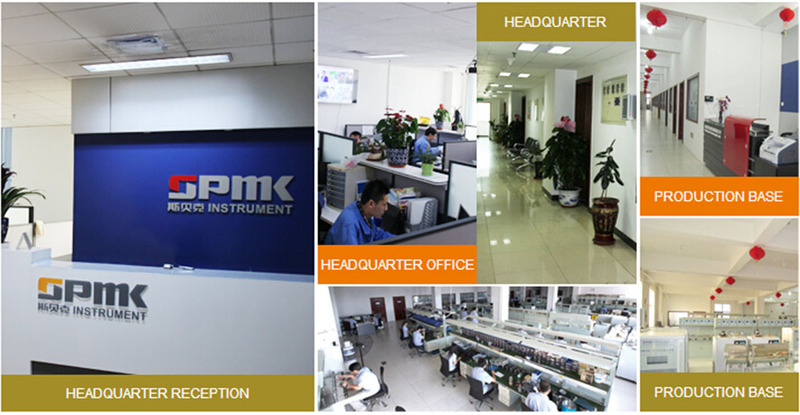 Our Mission is "providing high-quality calibration equipment to users" .Now "SPMK" has become a famous brand in the field of pressure & temperature calibration. Our company continues to increase investment in product research and development in order to make the technology and features to be the lead role in this field. We got more than 10 utility model patents in 2009, and all products supporting test system software have got the software copyright certificate. In 2006, Our Company passed the ISO9001: 2000 quality inspection. In 2010, most products have obtained CE certificate and Explosion-Proof Certificate. So far, the SPMK series products have been widely used in military, electric power, petroleum, chemical, metallurgy, railway, metering, pharmaceutical, food and other industries in China. Some of the products have been exported to USA and Middle-East Countries. With the increasing of users, we should insist on customer value, abide by the corporate philosophy of Accurate calibration, Perfect Service. With a grateful heart, we are making SPMK a famous brand worldwide!